This is a charming retelling of Dickens' A Christmas Carol, set in the Roaring Twenties, with Judge Scrooge about to issue a disastrously wrong ruling in a case involving feral cats, just in time for Christmas. Tatania, the beautiful, and deaf, white cat who readers may remember from Splendid Summer, takes a firm pawgrip on the matter, along with her companion, Zeus. The humans Tatania consents to hang out with, Jack and Grace, also make an appearance. This Scrooge is so tight-fisted he won't even heat house; "when you pay the bill, you don't feel the cold." Tatania and her friends have an attention-getting lesson for him! This is a warm and charming little story, a novella rather than a novel, but well worth your time in this Christmas season. Hugh Penders is back in Amber, CT for his first extended visit since his brother Chase's death because his father has had a heart attack. It isn't just that his parents need his moral support; his father Richard needs him to take over running the store--and hopes he will take it over permanently. 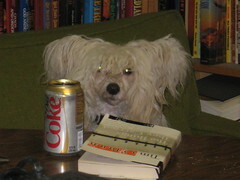 Both parents are offended when he flatly refuses, and agrees only to run it until it can be sold. Since he's been drifting for the ten years since Chase died, and has recently quit his latest job, there's no obstacle to his doing so except that he finds working in the card and gift shop incredibly dull. Eventually, though, he gets bored enough that he starts making changes in the store, changes he feels his father should have made years ago. He's also distracted by running into Iris, his brother's last and most serious girlfriend, a woman to whom Hugh was also attracted. As he and Iris renew their friendship, they both have a lot of emotional baggage to work through with regard to Chase, and it soon looms as an obstacle to any future they might have together. 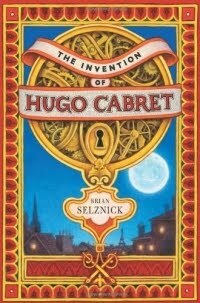 Hugo Cabret is a twelve-year-old orphan who lives in the walls of the train station in Paris in the 1930s. His father was a watchmaker; his uncle maintained the clocks in the train station. They both taught Hugo their craft; his uncle has now disappeared. Hugo keeps his uncle's disappearance unnoticed by maintaining the clocks himself, and steals food from various vendors in the station to eat. He also has a few treasures rescued from his father's shop after his death, most importantly a life-sized clockwork man, and the notebook the elder Cabret kept of his efforts to repair the clockwork figure. The core of her secret is quite simple: Be a hard-driven, brilliant salesperson. Really, there are a lot of specific and useful recommendations here. There is also information about valuable resources, most free, some not, that can be valuable additions to your job-hunting strategy.